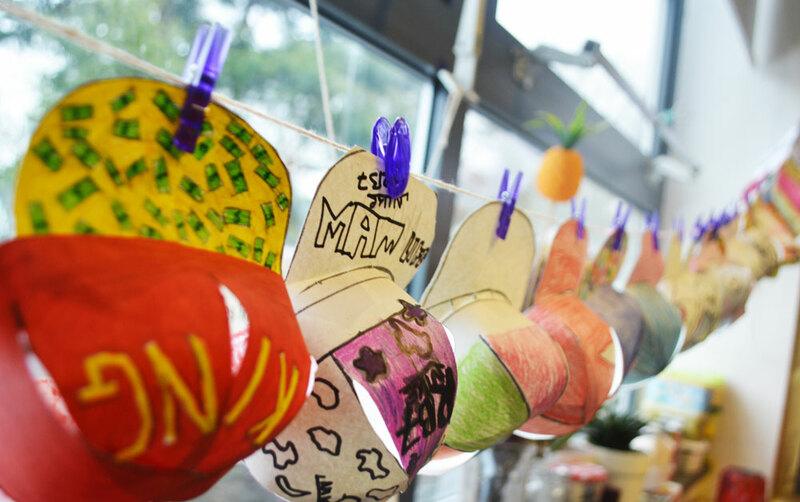 The art department at Whitley ensure that each student has a creative and inspiring experience of art during their time here. All of the art teachers in the department have a variety of specialist skills from fine art, textiles and illustration to photography. We work together to share these skills and teach students different practical skills. Key to everything we do is drawing. We encourage all learners to practice their drawing skills through a variety of different methods. Students are also encouraged to produce 3D work as well as 2D. We have a kiln to fire clay and a dark room to enable students to develop their own black and white photographs. As we are an RSA academy, we have established links to royal designers that will run workshops and develop projects with our students. This opportunity gives us valuable links for our learners to find out about working in the art and design industry and gain different skills that are not on offer in other establishments. In key stage 3, students are learning different skills and techniques that they may need if they chose to go on and study art or photography at GCSE level. The projects that we develop encourage learners to use different media, materials and equipment. They will study different artists, both historical and contemporary, and will be encouraged to talk about their work. At the end of the project students will be encouraged to create their own final piece in response to the work they have completed. They will also comment on their own work, to develop their evaluative skills. In Year 7 learners have one lesson a week. They will complete two projects, a still life project and portraits project. In Year 8, learners have four lessons over a two week timetable. They will complete two projects, a hat project and an architecture project. In Year 9, learners have one lesson every two weeks. They will complete a project based on Food. Pupils begin their KS4 journey with us in Year 10 by selecting to study a visual arts subject, and studying their chosen option for two years until the end of Year 11. Pupils produce practical and critical/contextual work in some of the following areas including; drawing and painting, mixed media, textiles, sculpture, installation, printmaking, lens-based and/or light-based media: photography. Pupils produce practical and critical/contextual work in some of the following areas including; Manual camera skills using Nikon DSLR’s, Photoshop and manipulating techniques, and traditional dark room work. Both Fine Art and Photography are structured and assessed in the same way and share the same four assessment objectives. Pupils are introduced to a variety of experiences exploring a range of media, techniques and processes. Pupils are guided to explore drawing for different purposes and needs. They are encouraged to explore relevant images, artefacts and resources relating to a range of Fine Art or Photography. Personal responses to these are then shown through practical and critical activities. Pupils are assessed using the four assessment objectives. Develop their ideas through investigations informed by contextual and other sources demonstrating analytical and cultural understanding. Refine their ideas through experimenting and selecting appropriate resources, media, materials, techniques and processes. Record ideas, observations and insights relevant to their intentions in visual and/or other forms. Present a personal, informed and meaningful response demonstrating analytical and critical understanding, realising intentions and where appropriate, making connections between visual, written, oral or other elements. Set and marked by the Art department and moderated by AQA. Student will undertake a number of projects across the course dependant on specialist staff skills and interests and skills of the group. All students begin with a skill build project to ensure they have the essential skills and knowledge to be successful. They then work on thematic projects to develop and demonstrate their use of the four assessment objects. Before October half term in year 11, students sit a mock examination. The exam is 10 hours spread over the course of two days which is sat in the art rooms. This work is then marked and time is given for improvements to be made. This project forms the students’ final coursework project. Over the course of the two years, students work on projects of various themes and starting points to build up a portfolio of work. The best work is selected to form a portfolio to be submitted. It must include more than one project. Students must also demonstrate the use of drawing and evaluative written annotation. This examination unit starts in January, with approximately 8 centre weeks to develop work and ideas from a theme given by the exam board. This is followed by an 10 hour exam spread over the course of two days. This unit represents the culmination of the GCSE course. The paper consists of various broad-based thematic starting points. During the preparatory period students are again guided and encouraged to show independence in the development of their ideas, intentions and response. Students submit supporting studies and practical outcome(s) in response to the given theme. Both written annotation and drawing must again be covered alongside the four assessment objectives. 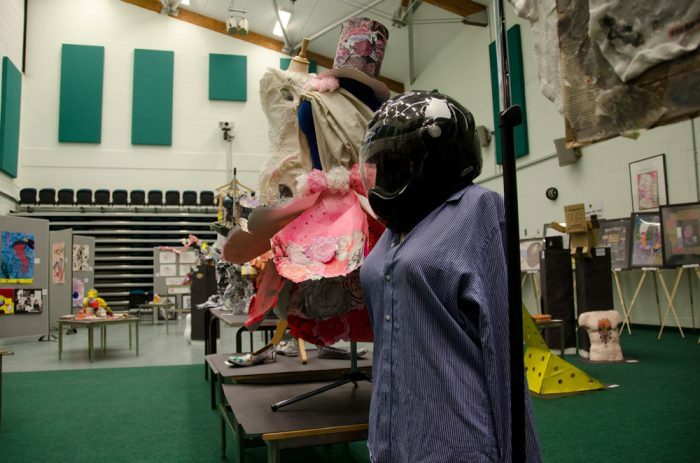 The Drama and Performing Arts Department aims to develop student’s confidence and creativity through the exploration of emotions, relationships and wider society. Throughout their studies, the students focus on building transferable skills that can be used in a variety of contexts in the future. These skills include cooperation and negotiation within groups, articulation of feelings and opinions and the evaluation of other’s work. Performing Arts at Whitley is passionate about giving students opportunities within Drama and Music inside and outside of the classroom. Our experienced drama specialists deliver engaging and exciting lessons that inspire students to participate in an active learning environment. Drama at Whitley is taught to all students in Year 7, 8 and 9. Initially we work on the development of skills, such as confidence, communication and the ability to work as a team. These skills are then developed into working as effective group members to create thoughtful practical performance work influenced by themes, scripts and the world around them. 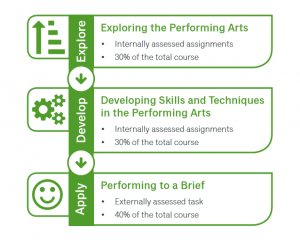 All of this is then transferable beyond Key Stage 3 where students have the option to take the subject at Key Stage 4 level. Throughout their study, they will explore many topics including Theatre from Different Cultures, Shakespearean Drama, Devising from a Stimulus, Mask Work and Horror and Tension. The course is made up of three components: two that are internally assessed and one that’s externally assessed. Our three-block structure, explore, develop and apply, has been developed to allow students to build on and embed their knowledge. This allows them to grow in confidence and then put into practice what they have learned. Our assessment structure is also designed so that students can build on what they learn, and develop their skills, as they move through the course.